I've told this story before, and most Masons know that Abraham Lincoln wasn't a Freemason. But it was Lincoln's intention to join later. 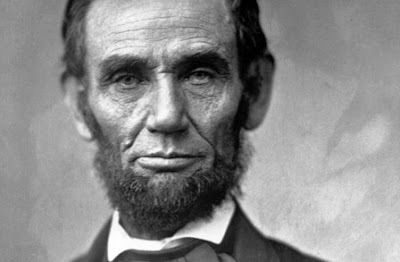 That story of Abraham Lincoln's decision not to join Freemasonry may provide Freemasons with something to think about today. Lincoln applied for membership in Tyrian Lodge, in Springfield, Illinois, shortly after his nomination for the presidency in 1860. However, after further consideration he withdrew his petition because he didn't want his motives for joining to be misconstrued as an attempt to garner favor amongst Freemasons in order to obtain votes in the upcoming election. It was his intention to resubmit his application when he returned from the presidency. It was a decision that without question gained him a great deal of respect from the members of Tyrian Lodge. Think about that for a moment. Abraham Lincoln withdrew his petition, because he knew some might misconstrue his motives for joining. In fact, he may have gained a few more votes if he had become a Mason in 1860. But Lincoln didn't want anyone to believe he had used the good name of the Freemasons for personal gain. 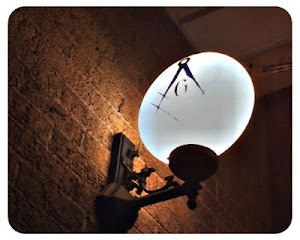 Like many famous Masons who had come before him, and many who have lived in the years since, he wished for his good name and conduct to reflect positively on our Fraternity, rather than to be viewed as using the Fraternity to promote and advance himself. It's a good lesson for Masons to reflect on today. As I've said many times, as the author of a couple books about Famous American Freemasons--Freemasonry's best advertisement has always been Freemasons. A true Freemason always strives to improve himself-- to possess the qualities associated with men of good character. But there are those out there that get that backwards--instead of creating themselves as an exemplar of Freemasonry, they use Freemasonry to advertise themselves. And even though Abraham Lincoln wasn't a Freemason, he understood Freemasonry well enough to know that it would be better to join later rather than sooner so that his motives wouldn't seem self-serving. It provides a good insight into Abraham Lincoln's character. Think about that this week. What were your motives to join the Fraternity? To improve yourself and serve as an example of a true and upright Mason? Or did you join, as Lincoln feared his petition would be viewed, in order to promote and advance yourself through the good name of the Fraternity? Perhaps also Mr. Lincoln had reservations about taking a blind oath considering that "Honest Abe" would likely hesitate to commit himself to the potential for future skulduggery of any sort. Chances are he also read Jesus' advice against making any oath which one may some day regret or ultimately might not be able to keep. I'm sure this oath thing is a sticky point for some, possibly even the best of candidates. The point made about possible attempts to aggrandize oneself through membership, either real or only perceived, is also valid, but such is hopefully a self rectifying problem in the long run. There is no evidence that Abraham Lincoln had any issues with the oath. None. If we are just going to guess why don't we guess that he had an aversion to lapel pins. I've heard this story before and have always wondered where it originated. Did Lincoln correspond with someone about his motives? Excellent message, Brother! If he had trouble with oaths how could he become a politician let alone president.